There’s a whole lot to unpack from this past weekend’s SXSW panel headlined by Game of Thrones showrunners David Benioff and Dan Weiss, which was also hosted by the Stark sisters themselves, Maisie Williams and Sophie Turner. From the beginning we’ve wanted to tell a 70-hour movie. It will turn out to be a 73-hour movie, but it’s stayed relatively the same of having the beginning, middle and now we’re coming to the end. It would have been really tough if we lost any core cast members along the way, I’m very happy we’ve kept everyone and we get to finish it the way we want to. 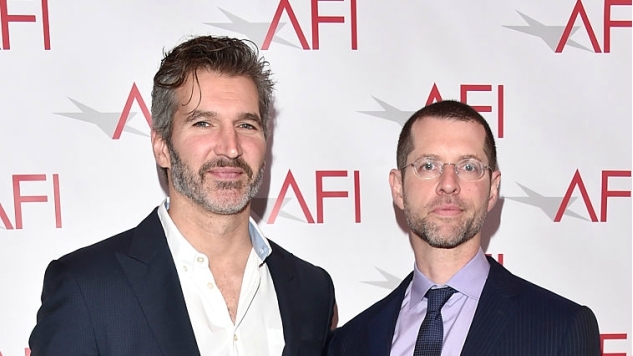 While HBO themselves haven’t confirmed the news of the shortened season, the showrunners said at the panel that writing duties for each of the eight episodes have already been assigned, further solidifying their claim. Dave Hill and Bryan Cogman will pen the first and second scripts, respectively, while Weiss and Benioff will co-write the final four hours of the show. As for what the network has planned for after the show concludes, the showrunners say HBO is on their own there. Acknowledging the channel’s known interest in pursuing a Game of Thrones spin-off, Benioff said they think it might be wiser for “new blood” to tackle any other in-universe stories. Back in September, HBO’s programming president attributed the duo’s hesitance to return to to their current Thrones workload, saying they may change their mind after the dust has settled. Finally, the panel announced that pop star Ed Sheeran will make a cameo in the show’s seventh season, allowing him to join the ranks of other musical acts like Mastodon, Sigur Rós, and members from both Coldplay and Snow Patrol. “For years we were trying to get Ed Sheeran on the show to surprise Maisie and this year we finally did it,” Benioff said while sitting down the stage from Williams. In other recent Thrones news, HBO announced season seven’s premiere date of July 16 last week in a bizarre trolling incident via Facebook Live. You can also check out this year’s newly revealed poster here. Be sure to stay tuned to Paste for more updates on both Game of Thrones’ upcoming end and SXSW in general.